Andy and Christina Meinen passed their state Broker’s Exam and are now licensed Broker Associates at Destin Real Estate Company. The pair took a pre-license class February and went to Pensacola for the official state exam on March 2 and passed on their first attempt. Please call Andy or Christina today if you’re interested in buying or selling real estate along County Road 30A, Destin or Sandestin. 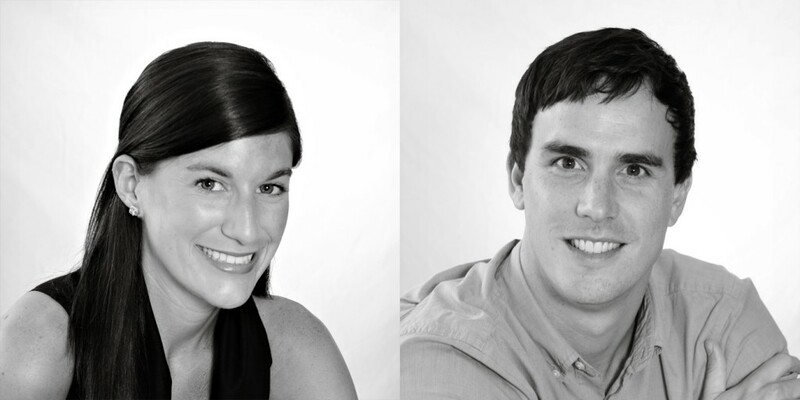 Andy and Christina specialize in listing and selling property in South Walton. Abundant Gulf views are available at this premier WaterSound Beach, FL, home. Seller will take a vacant residential lot in WaterColor, WaterSound Beach, WaterSound West Beach and Seagrove Beach as part of purchase price. Constant warm Gulf breezes welcome you to this five-bedroom, four-and-a-half bathroom home in WaterSound Beach. The highlight of this house is the amazing dual Gulf views from all floors. But the vistas from the top floor of the three-story tower are truly spectacular. The WaterSound Yacht Pond and main green unfold before you. The green stretches toward sugary dunes and the emerald waters of the Gulf of Mexico fill in beyond. The home has seven porches, including one off the third-floor tower room. Plus, there’s a patio in front of the Yacht Pond for barbecuing and lounging. The home is currently under construction, but the builder can finish quickly. A large kitchen flows into the dining and living rooms for easy entertaining and gathering. The first floor has two bedrooms and one and a half baths. The first floor of the tower will be screened to allow the gentle near constant Gulf breezes through. The second floor has the master bedroom with generous Gulf views and master bath. Two other bedrooms and a bunk room round out the second floor. There are three porches on this floor also. Take the stairs in the tower, which the second and third floors of will be heated and cooled, to the top and gaze upon the white sand dunes and smooth waters of the Gulf of Mexico. WaterSound is a St. Joe community. All room dimensions and square footage are approximate and should be verified by the buyer. This five-bedroom, five-bathroom home was listed last week in Seacrest Beach, FL. This 3,042-square-foot Seacrest Beach home and carriage house is ideally situated on a corner lot and across from the 12,000-square-foot lagoon pool. The main house, called “Sand Dollars,” has three bedrooms and three full bathrooms, plus a landing area for additional sleeping. This home can sleep 15 people and will be sold fully furnished. The front porch is deep and has a swing for lounging in the warm Florida nights. The open floor plan downstairs allows for seamless entertaining from the living room to the dining room and into the modern kitchen, which has granite countertops and contemporary appliances. Santa Fe tile fills the walls below the custom white cabinetry. A single bedroom and full bath capable of handling elderly folks with ease is also on the first floor. Right off the dining room is a side porch and car port and is a great place for grilling. The master bedroom and bathroom are on the second floor with a full porch off the front of the house overlooking quiet Blue Crab Loop. The master bath has a full tub and separate shower. Two sinks and vanities, along with an ample master closet, are ready for you. An additional bedroom with two bunk beds and full bathroom, as well as a landing area for more guests, completes the second floor. The second and third floor has separate A/C and water heaters from the first floor. The third floor tower room has another bunk bed and wet bar. The tower porch is an ideal place to sit and watch a Florida sunset. The carriage house is complete with a two bedrooms one upstairs and one downstairs a full kitchen and children’s bunkroom on a hallway. The carriage house can sleep eight and has its own washer and dryer for easy loads of laundry. All the outside trim on the main home and carriage house was power washed and painted in August. With more than eight weeks of owner usage, including some holidays, the 2009 rental income is about $57,000. Seacrest Beach is located between Rosemary Beach and Alys Beach north of County Road 30A. The community has deeded beach access through Villas at Sunset Beach. Carriage house with garage was built in 2001 and main house was built in 2005. This loft in Rosemary Beach, Florida, is under contract. This top-floor unit in The Lofts West, located in the heart of Rosemary Beach, is offered at an unbelievable price. This unit overlooks the Rosemary Beach Town Center Park. Professionally decorated, this unit will knock your socks off. Sixteen-foot vaulted ceilings, antique Pine hardwood floors, dark wood cabinetry and dramatic skylights set the stage for beautiful furnishings that create the elegant but casual ambiance of this fabulous getaway. The master bath is actually large enough to relax and enjoy the soaking tub. Mahogany doors throughout and stone finishes in the kitchen and baths add to the luxurious feel of the unit.Rosemary Beach, FL. This four-bedroom, four-bathroom home just sold in Destin, Florida. Dunes of Crystal Beach, Destin, Fla. This beautiful condo will take your breath away. Each item in this home was individually selected by the owners from locations such as Soho, the Hamptons and Miami Beach. When you combine the wonderful décor with the incredible floor plan of this unit, you have the absolute best that is available on the beach in Destin. Special touches include antique Murano sconces and other upgraded lighting throughout, as well as the beautiful Walnut travertine floors. This end-unit boasts four bedrooms and a separate media room. Each bedroom has its own private bathroom, outdoor balcony and wall-mounted plasma television with DVD player, giving each guest the opportunity to retreat into their own space at the beach. No expense was spared on the luxurious bedding. The living room has a 5-point surround sound system with Pioneer plasma television. The Dunes of Crystal Beach is an exclusive condo that is located on 255 feet of private beach within walking distance of Destin Commons and all of the great shopping in Destin. It is only five minutes from the owner?s boat at Legendary Marina at he Mid-Bay Bridge. This unit has assigned underground parking and a large owner?s locker. The gym in the building is conveniently located on the same floor as this unit. Though on the second floor, this unit is really on the third floor as the first floor is dedicated to parking. In addition, there is a Gulf-front pool. It is fully-furnished with all window treatments and all but some original artwork conveys.